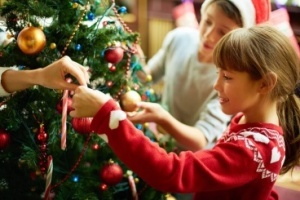 · Keep natural and artificial indoor trees away from fireplaces, portable heaters and other heat sources. · Use only non-combustible or flame-resistant decorations. · Check the labels on lights to make sure they were tested at a facility, such as UL or ETL, and follow manufacturer’s instructions for use. · Discard any lights with cracked sockets, frayed or bare wires or loose connections. · Always turn off holiday lights and extinguish candles when going to sleep or leaving the house. The Florida Forest Service also encourages residents to clear dry debris from roofs and yards so they eliminate the link that could carry a wildfire from the woods to their homes. For more information, visit http://www.freshfromflorida.com/Divisions-Offices/Florida-Forest-Service.